We have some old crayons. To put them to good use we decided to make something with them. 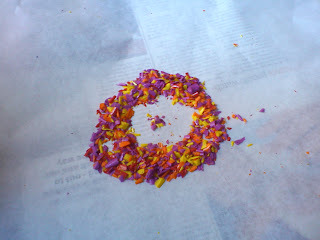 I made crayon shavings using a vegetable peeler. I arranged a sheet of baking paper. I put some newspapers and a kitchen towel under it as we needed to use the iron later. Then Defne arranged them on the paper to her hearts content. 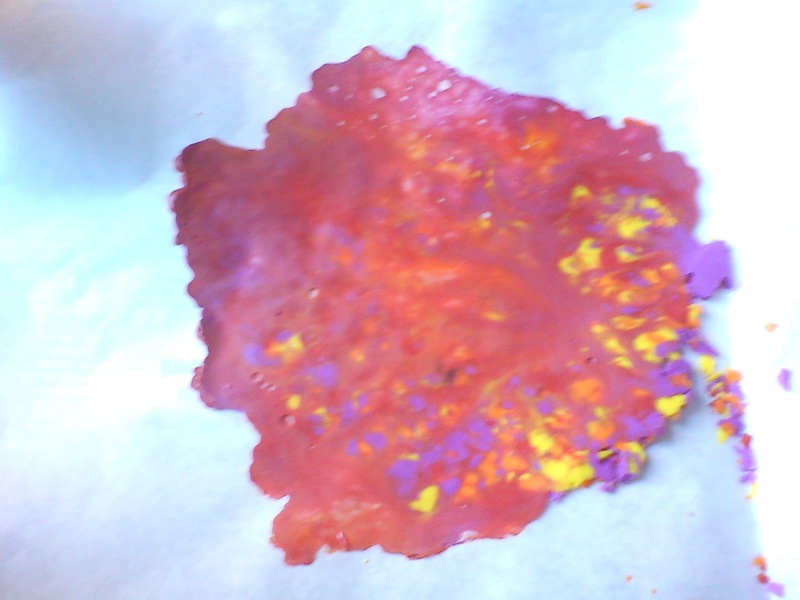 Then I folded over the wax paper and ironed it on a low setting. 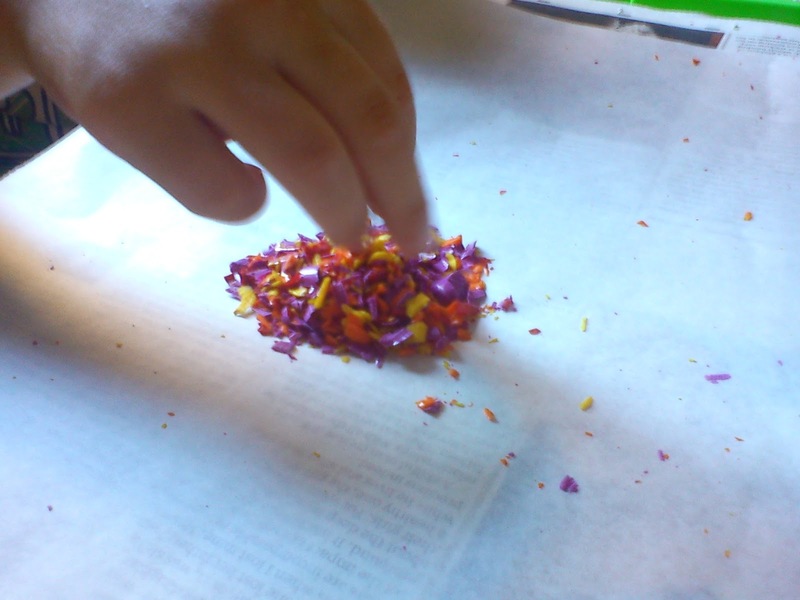 We observed how the crayons melted. A few minutes later, when it was cool enough for Defne to handle it, she peeled the paper and voila! This looks like great fun, we have a load of little crayon stubs as well. I'd love if you'd link this up to the blog hop I'm having this weeekend. You have some other great projects as well, you can link as many as you want up. Hope you can join in! That's a really good idea. I like a bit of creative 'mess'. I shall give that a go with my granddaughter when she's a bit bigger. I'm loving all the cool crayon art I've seen on blogs lately! That looks really fun, I'll be saving all my crayon bits! Thank you for all the lovely comments, I'm glad you enjoyed. Maggy,I was actually thinking of a suncatcher,too but this turned out very thin. We need more shavings.Lovely project though, next time! I wonder if you could stick a magnet on the back to make fridge magnets - or do you think they'd be too delicate?